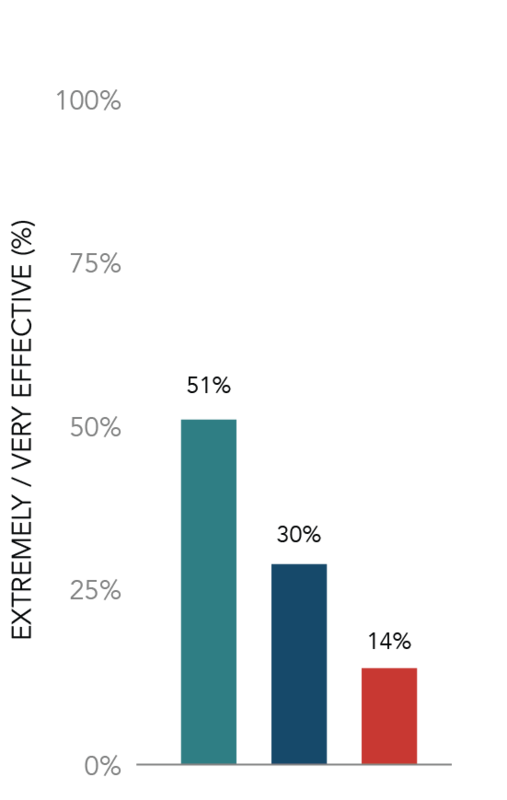 Only 17% of the sales organizations we asked believe they have very or extremely effective sales training. In other words, 83% of companies do not have effective sales training. This is alarming and the difference between performance groups is staggering. 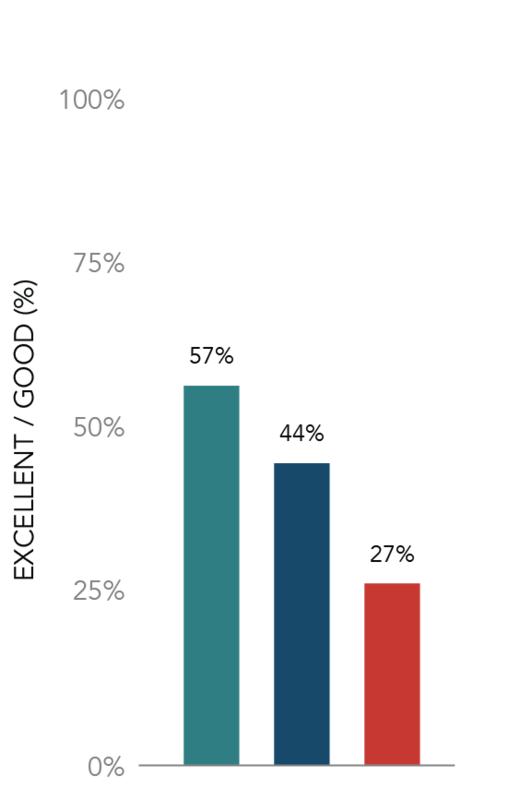 Sales training effectiveness represented the lowest score for The Rest across all of the factors we studied. It was also the 2nd largest gap between Elite Performers and The Rest. Elite Performers are 3.6x more likely to have effective sales training. "So what?" you might think, "Across the board, companies don't believe they have effective sales training." Well, companies that have strong sales training effectiveness also have much higher sales skill ratings than those that don't. Statistically, the correlation couldn't be more evident. We've written about the importance of these various sales skills in the past (Read: 5 Sales Skills You Need to Master). It's very difficult to master these skills if your sales training isn't effective. Look at the sales skills by sales training effectiveness. Companies with very or extremely effective sales training are much more likely to have sellers with the skills they need to succeed. In some cases, they are nearly 2x more likely to have the skills they need compared to companies that say they have moderately effective sales training. Given the lack of sales training effectiveness, it's not surprising that most companies don't invest well in sales training. Only 30% of all respondents agree they have good or excellent investment in sales training. When broken down by performance group, the difference is stark. Effective sales training is about behavior change. Behavior change takes time and needs to be augmented in different ways. Sales education has evolved greatly in the past 15 years. For those companies keeping up, it's making a difference. The most effective sales training happens through blended learning with ongoing reinforcement, coaching, and mentoring. Training itself needs to be engaging, on target, and well-delivered. It needs to be part of an education system that includes action plans, reinforcement, complementary learning, practice, and feedback. Expectations need to be set, and sellers need to be held accountable. The most effective sales training programs are supported across the organization. While there isn't an elusive silver bullet—a single thing that an organization can do better to revolutionize sales results—having (and continuing to invest in) effective sales training is one of the most important contributing factors to sales success within an organization. 83% of companies aren't doing this. For those that do, sellers gain the skills they need to succeed and results soar. Are you going to be part of the 17% that are?